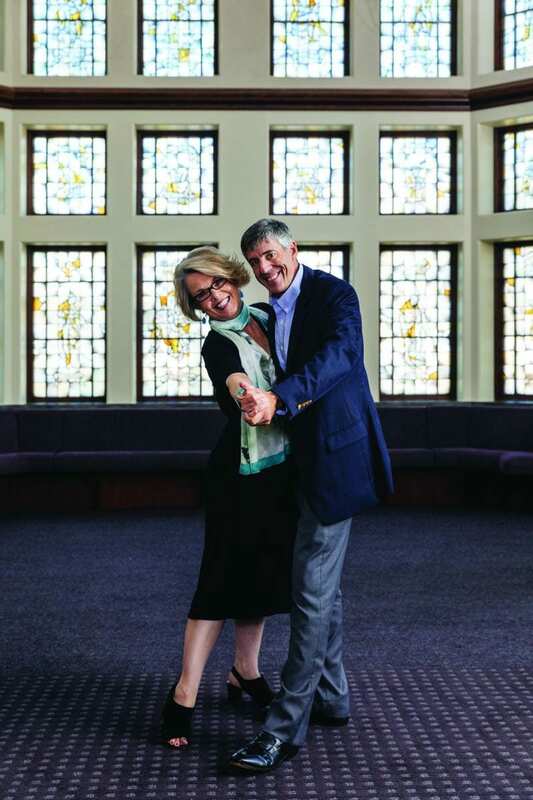 Dr. Joan R. Branham, associate dean of the School of Arts & Sciences, and Dr. Daniel R. Horne, associate dean of the Providence College School of Business, are the matchmakers behind “speed dating,” an event that inspires interdisciplinary teaching and scholarship. Branham, professor of art history, and Horne, professor of marketing, stage the event once a year to encourage faculty collaboration. Professors brainstorm courses to teach together — including colloquia for the Development of Western Civilization Program — and share research interests. “Faculty are eager to learn about each other’s areas of research,” said Branham. “In the 10-minute ‘date,’ they get to know each other before the bell rings and they have to move to the next table. They ask what kind of projects each is currently researching, what courses they are teaching, and more importantly, what kind of courses they want to teach. For example, Horne taught a DWC colloquium on Rational and Non-Rational Persuasion with a philosophy professor and a neuroscience professor. He took a neurobiology course to prepare. Grounded by Aristotle’s The Rhetoric, the class explored how advances in brain science influence the way marketers sell products, services, and ideas.